An independent civil society election moni-toring organisation in Nigeria, the Transition Monitoring Group (TMG), has called on civil society organisations (CSOs) to build synergies, share information and massively engage in the electoral process if “desperate politicians" must be deterred from compromising future elections. The call was contained in a statement signed by its Chairperson, Dr. (Mrs.) Abiola Akiyode-Afolabi. Reacting to the recent confession of former Deputy Senate President, Ibrahim Mantu, about using bribes to undermine the credibility of past elections, TMG, in a statement, said the confession amounts to a call to duty, “which we must heed to ensure the 2019 elections are free, fair and credible.” The group maintained that the authorities must treat Mantu’s confession with a deeper scrutiny if Nigerians are to get a sense of closure from the terrible events of the recent years. 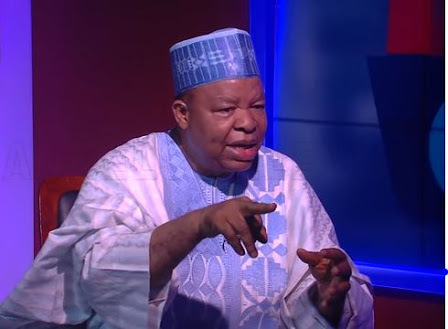 “Without doubt, Senator Mantu’s confession goes to the heart of the problem of morally bankrupt political leadership, which has been the bane of Nigeria’s nation building, since the return of democracy in 1999. Although we have always known that the political elite would do anything possible to undermine the electoral process, yet the stark reality of a legislator, who effectively was the nation’s number two lawmaker at some point, owning up to shady schemes to undermine the electoral process, is more worrisome. The Nation reports that TMG also called on Mantu to go further by mentioning the particular elections, which he and his co-travellers at the time used bribes to undermine. It also charged Mantu to be patriotic by giving names of all the Independent National Electoral Commission (INEC) and members of the security agencies who participated in the act of subverting the votes of the people.